Ghirardelli cocoa – Cooking with Gabi – all about integrating Fruits & Vegetables into your daily diet! This is the easiest and fastest dessert you can whip up! Two egg whites are all you need…..it’s more than enough, unless you want to eat the bowl, lick the spoon and desire more, more, more! Beat the room temperature egg whites with the sugar and the vanilla on the highest speed on your beater for at least 6 to 8 minutes, until it foams up and gains a thick volume. I know that the merengue is done when I can lift the beater and peaks are formed without wilting. If it’s too soft, beat it for a few more minutes until the peaks stand on their own. 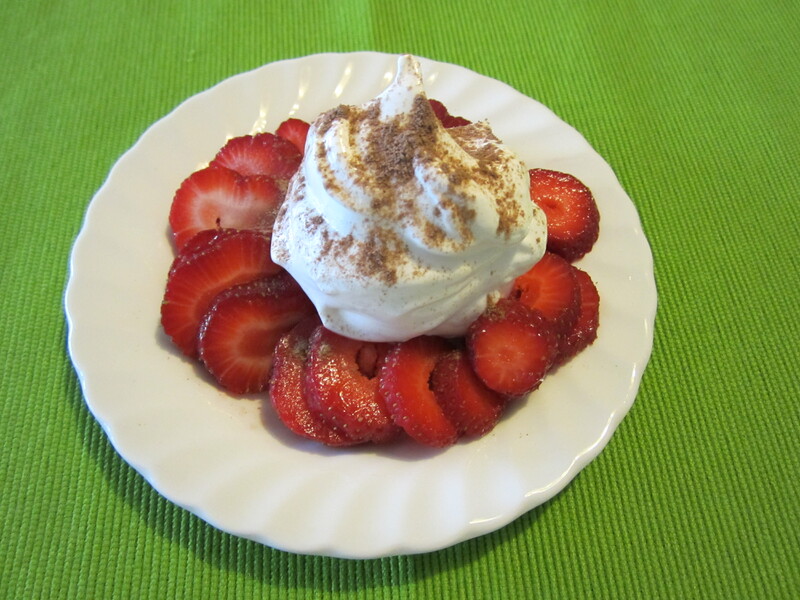 Strawberries were sliced, arranged and the merengue went in the middle and then sprinkled with the Ghirardelli cocoa…..
Yum…..just looking at the pic makes me want to go and make some more! What do Ghirardelli cocoa, maple sugar and powdered ginger have in common? Why Popcorn, of course! There are some days when I just want a snack for dinner…..so going to my cupboards, I rummage through spices and sweets and came up with something different…. 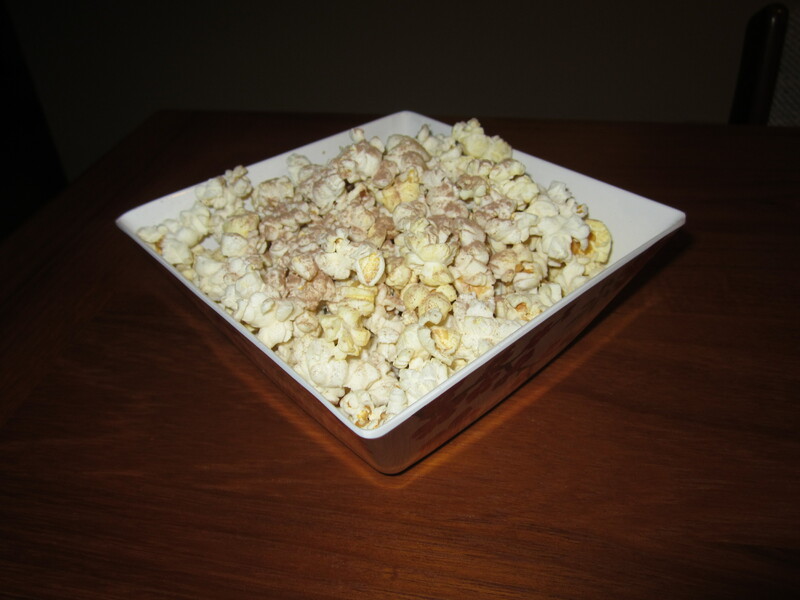 I mix two tablespoons of Ghirardelli cocoa, 1 teaspoon and a dash of powdered ginger and 1 tablespoon of maple sugar together….and sprinkle it over hot popcorn!!! The saltiness of the popcorn dusted with this mixture just makes my taste buds so happy!